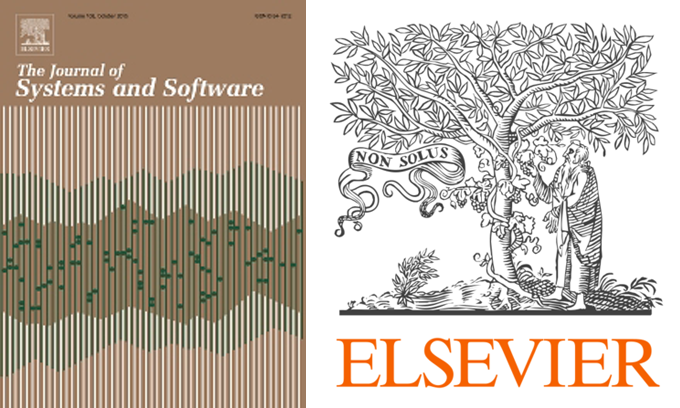 High quality papers describing unpublished, original work are solicited on any software engineering topic, provided there is a substantial empirical dimension to the work being presented. Papers are limited to 10 pages, must be written in English, and be formatted according to the ACM authoring guidelines. Papers which exceed 10 pages, are outside the scope of the conference, or do not follow the formatting guidelines will be rejected without review. Submissions that exceed the page limit (longer than 10 pages), or are outside the scope of the conference, or do not follow the formatting guidelines will be rejected without review. 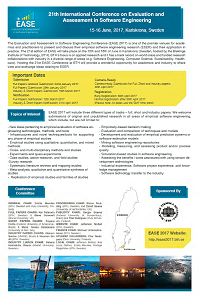 This track provides an opportunity for researchers and practitioners to present their research, practical experience, or issues related to empirical software engineering. In particular, the goal of the track is to promote early-stage and ongoing work, research, practices, experiences, and issues that are not at a mature enough stage to be submitted as full papers. Submissions that exceed the page limit (longer than 6 pages), or are outside the scope of the conference, or do not follow the formatting guidelines will be rejected without review. 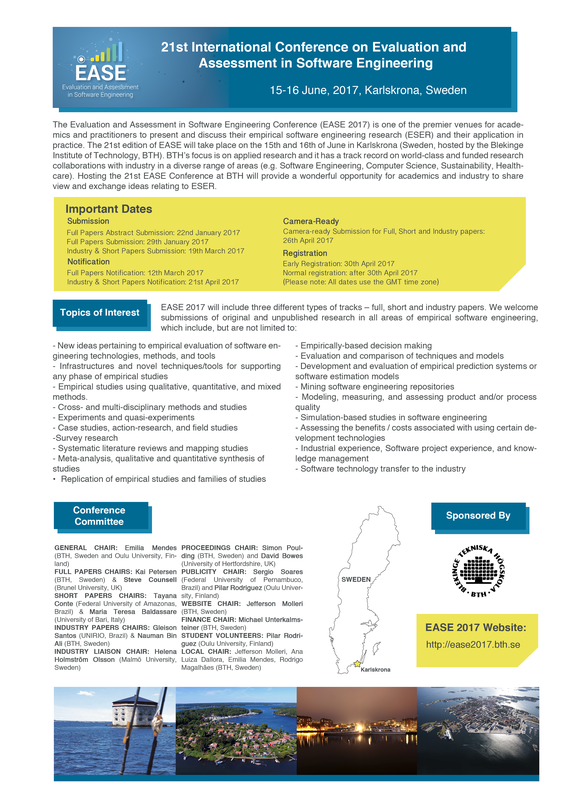 The industry track at EASE 2017 in Karlskrona, plans to provide an opportunity for practitioners to share their experience in the area of empirical software engineering (ESE) with other practitioners and researchers. Broadly the track has the same research scope as the main conference. All submissions will be peer-reviewed and presentations will take place during the main conference. This will be an excellent opportunity to showcase your work, receive valuable feedback, and exchange knowledge directly with other practitioners and researchers not otherwise collaborating with you. At least one of the contributing authors must have an industrial affiliation.